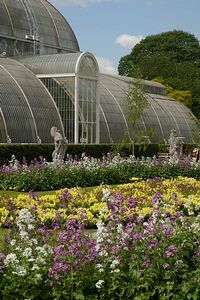 On 3 July 2003 the Royal Botanic Gardens, Kew was officially inscribed as a World Heritage Site by UNESCO. The world famous Kew Gardens offers visitors something of interest in all seasons: Displays of welcome spring flowers, colourful summer borders and the tints of autumn to be found in the arboretum. 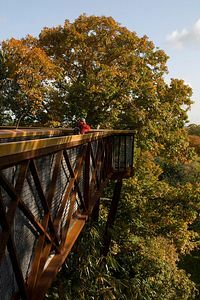 Even in winter you can marvel at exotic plants in the warmth of the many glass houses or enjoy a visit to the two art galleries in the gardens. and exotic plants were introduced; many brought back by Captain Cook from his voyages. The gardens were given to the nation and opened to the public in 1841 and have since become one of the leading botanical research and training centres. 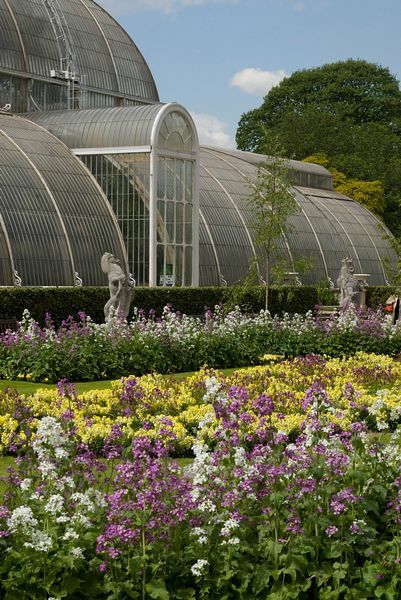 When you come to Kew, you will want to visit the fascinating glass houses. 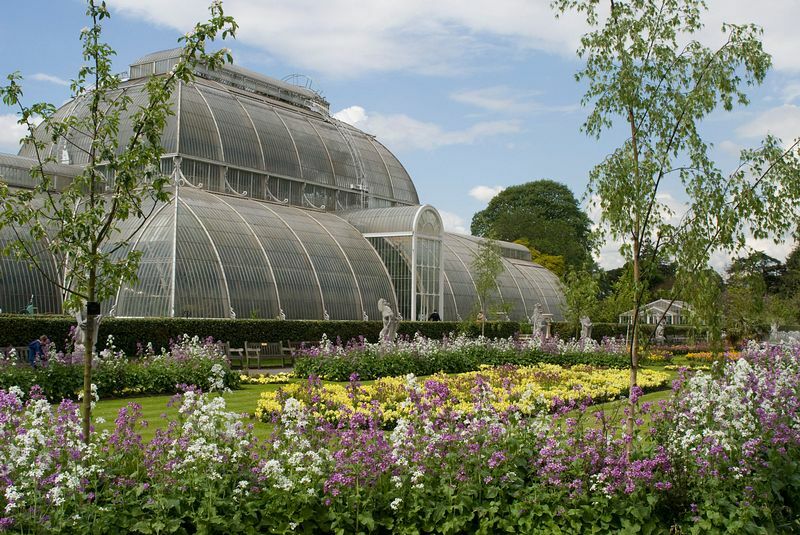 Why not start at the Palm House, designed by Decimus Burton in the 1840's? It stands 65 feet high and inside, in the steamy atmosphere, most of the known palm species grow. 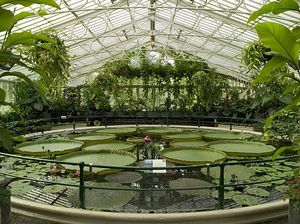 The Waterlily House, which is even hotter, has creepers and plants overhanging the circular pool with its beautiful lilies. The old Alpine House has been replaced by a new, larger one, designed by the twice Stirling Prize winning architects Wilkinson Eyre. 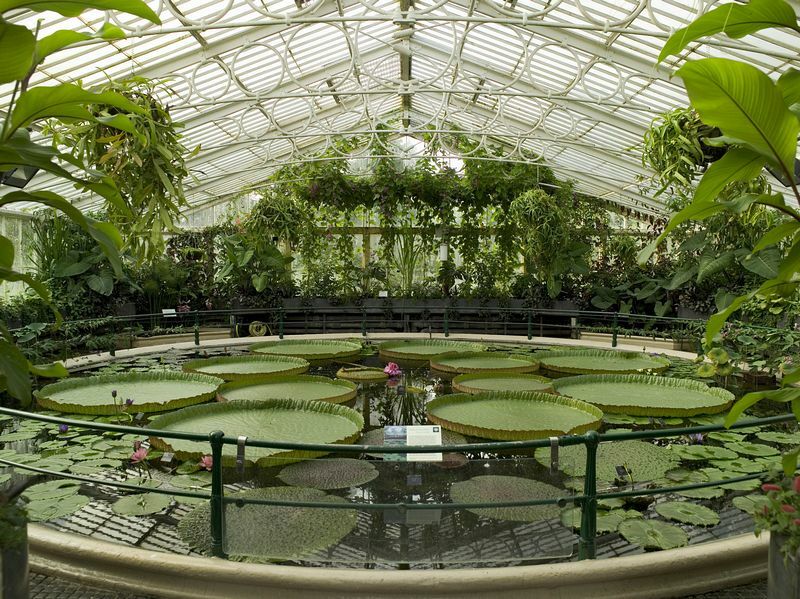 The Princess of Wales Conservatory, opened in 1987 contains plants growing in 10 climatic zones. There is also an underground exhibition hall, showing an ecological slide show. Largest of the glass houses is the Temperate House, where you can see beautiful blooms, originating from South Africa and the Caribbean. Newest of all is Evolution House; in its hi-tech atmosphere visitors are taken on a 3,500 million year journey, telling the story of the evolution of the planet. 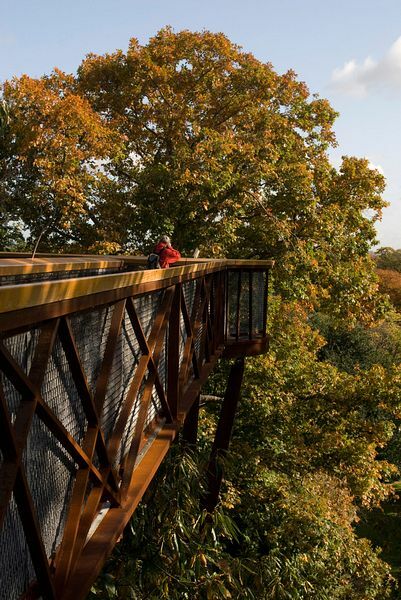 At Kew there are leafy walks to enjoy, including high among the treetops thanks to the 18m high Xstrata Treetop Walkway; the Rhododendron Dell to delight you in early summer and lakes to keep cool by. 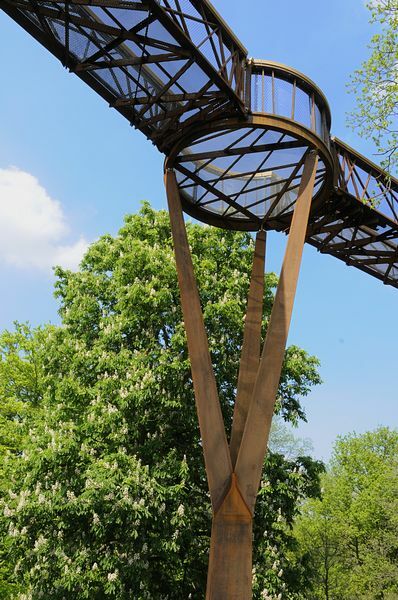 Admire the ten storied Chinese Pagoda standing 163 feet high, and many other interesting features in the 18th Century garden, which was laid out by Capability Brown. 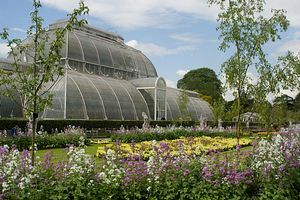 For further information about the Royal Botanic Gardens, Kew's 2011 visitor programme see Kew Gardens web site (link above).